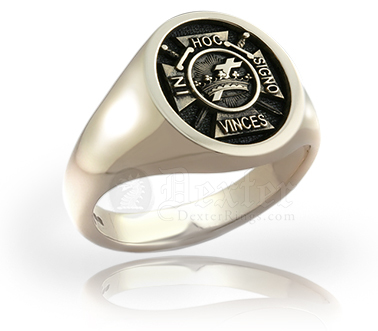 Here is a selection of Knights Templar Ring Designs for you to choose from, all available to purchase online now. 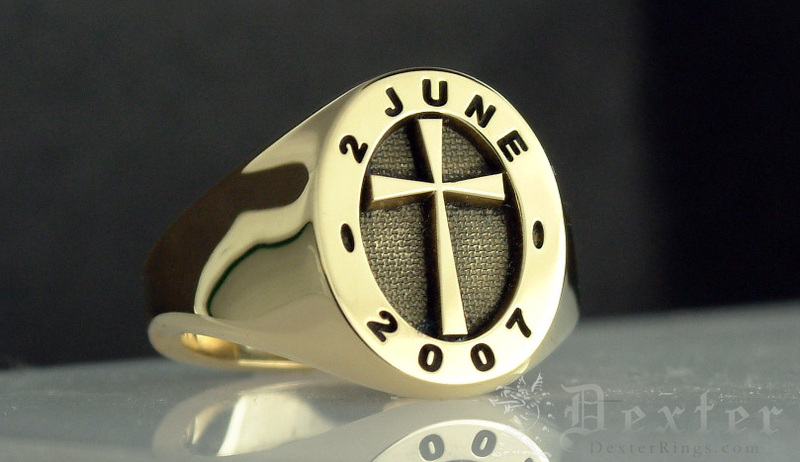 All our rings are individually engraved so if you don’t see the engraving you would like let us know - ANY Knights Templar Design Signet Ring is This Price. 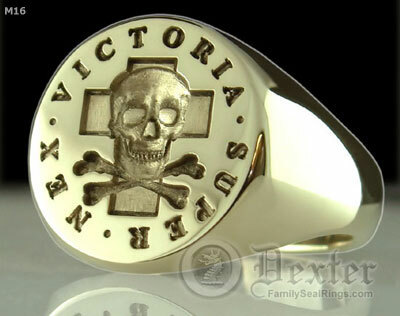 The cross through the crown is charged upon a ‘cross pattee’ as it is termed in heraldry, pierced by two swords. 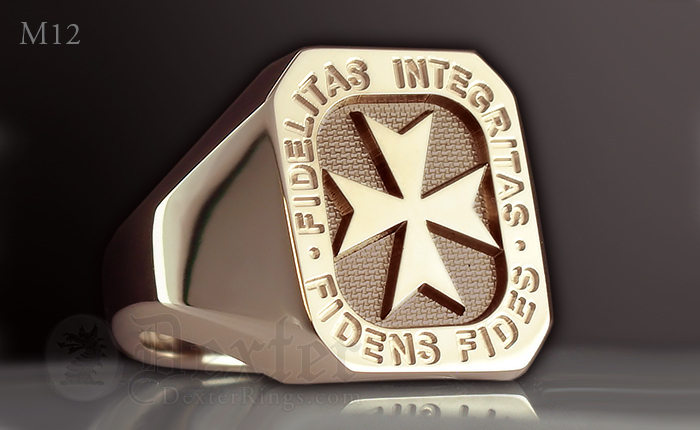 This famous emblem is often used to represent the Knights Templar movement. This is one of many designs we have engraved for Freemasons, Templar members and even individual Knights of Malta , York Rite, the Knights of St Paul, and the Knights of the Red Cross. 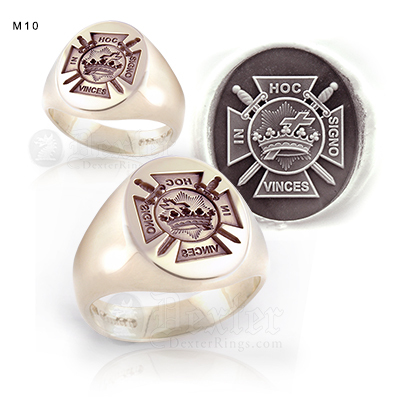 You will see from the image on the right that one ring is reversed this has been engraved ‘for seal’ in the ancient and traditional way. 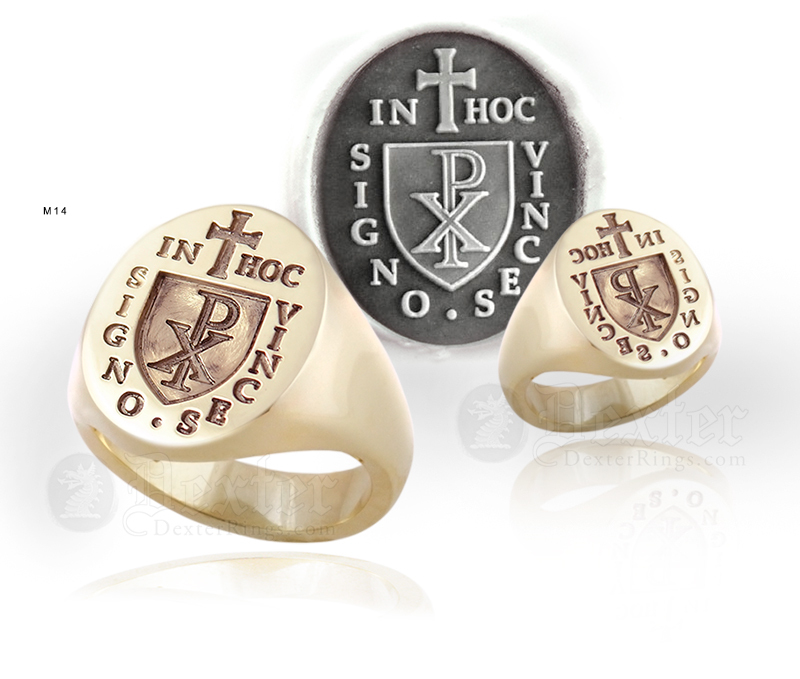 Alternatively the design is available for show - so ‘In Hoc Signo Vinces’ appears the ‘correct’ way round! 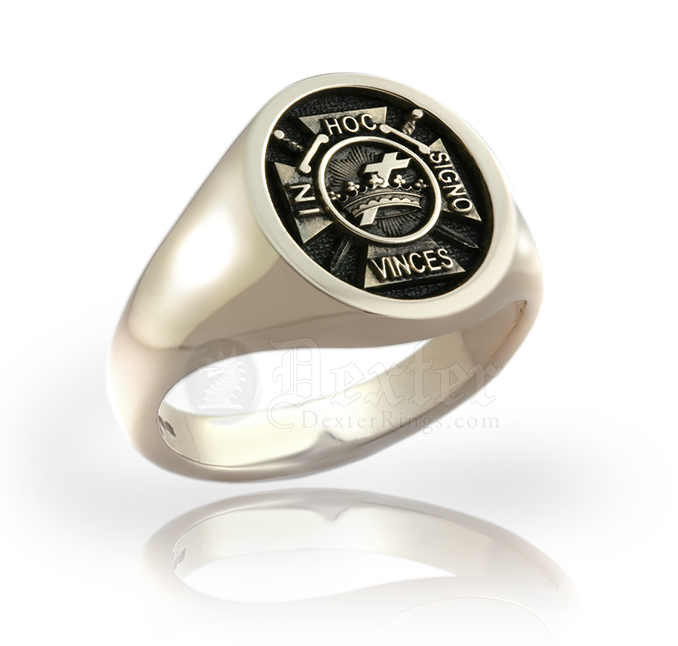 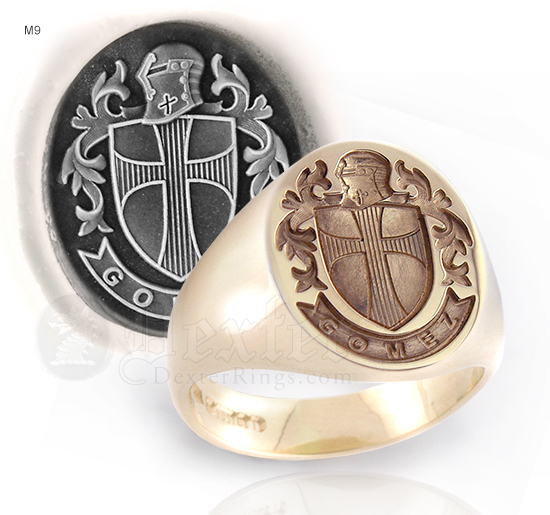 Also see our faithfull replica of the Knights Templar Ancient Seal Ring. 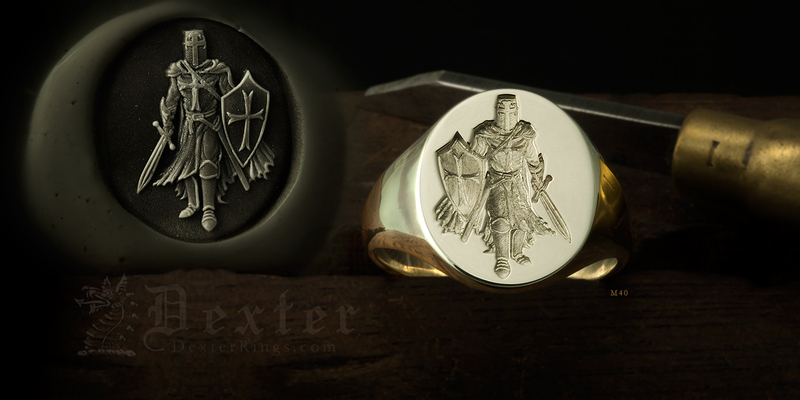 TOP: Crusading Knight Design (M40) - please click images to see detail. 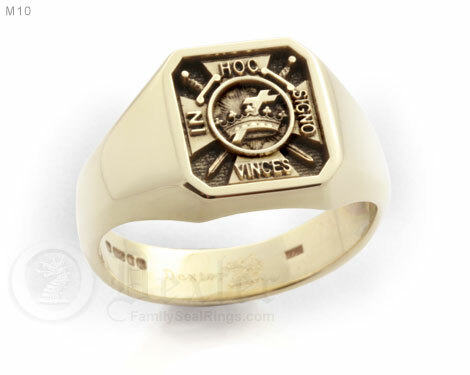 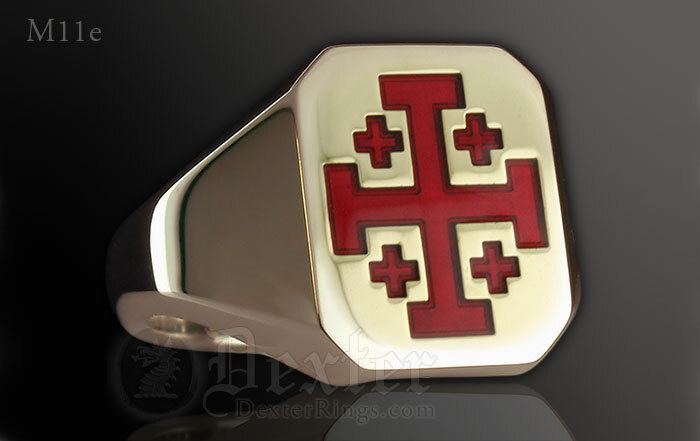 See Prices for this design on your choice of ring, or any other Templar design! 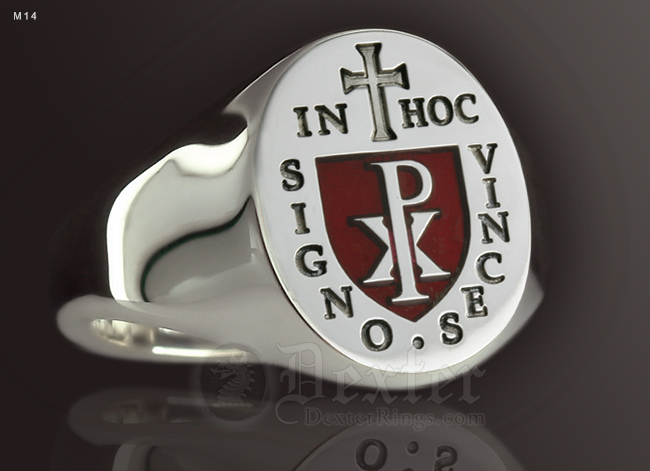 Here you see the Templar design featuring the Chi Rho within a shield and the latin phrase ‘In Hoc Signo Vinces’. The chi ro has its roots used in very early Christianity. 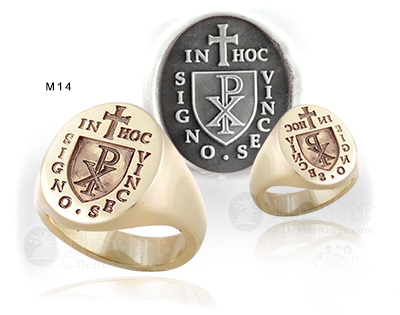 It is said to evoke Christ on the cross and became a symbol for religious freedom. 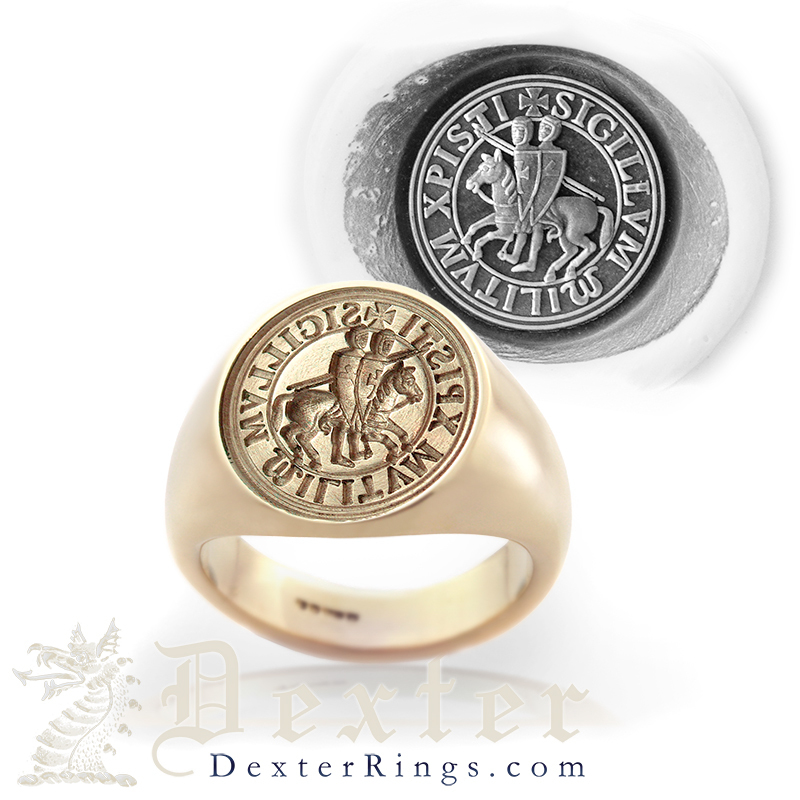 It became popularised used as a military standard for the Holy roman emperor Constantine.